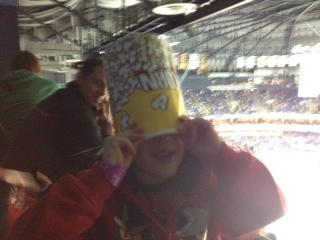 Kids are fascinating creatures. They are perplexing and curious, bewildering and bewitching. Frequently, when I document a conversation or an event, I look back at it and think: “What was that all about?” It’s often not immediately clear; it may never be clear. Yesterday, when we went into the greenspace, N.I. 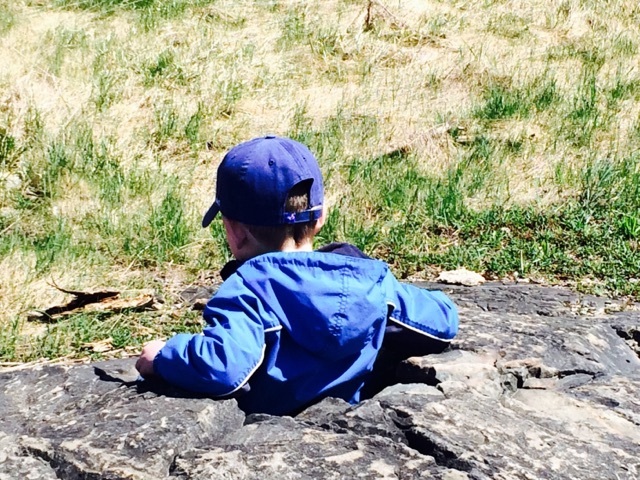 perched himself in the little rock alcove that they’ve all decided is their chair. I thought at first he meant “highness” – like a throne for a king. At this point, I probably looked a lot like a confused dog with my head cocked to one side and a perplexed look on my face. Now, if there’s one thing that I wish I could change about school in the interest of furthering inquiry, it would be to remove the schedule. I wish we could eat when we’re hungry, go outside when we like, and stay out as long as we want. But, that’s not the reality of busing and contracts and bells. Part of my perplexedness (it’s really a word – I checked) is because I can’t always stay with something as long as I would like to, as long as the kids probably needed to in order to develop this high-y-nest narrative to the point where it might have made sense to me (maybe it never would). It was time to go in so we trooped back towards the school, with the world of high-y-nest remaining mysteriously elusive, at least for the adult among us. PS: If you ever want to read a great story about ditching the schedule (and more), check out William Ayers’ To Teach: The Journey of a Teacher – fabulous book. We are lucky enough to have an education researcher who visits our classroom once a week to give us feedback on our work and to help us collect documentation. 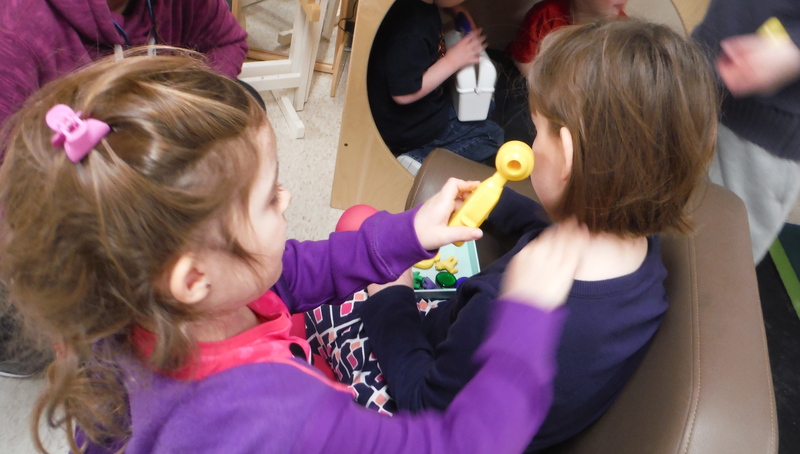 This week, as we were debriefing, he looked quizzically at me and remarked… “hey, I’ve noticed you don’t have a dramatic play centre any more.” It’s true – we don’t. We haven’t for a few weeks and I’m pretty sure that last year we stopped having one at around the same time of year. Here’s why: we don’t need one. 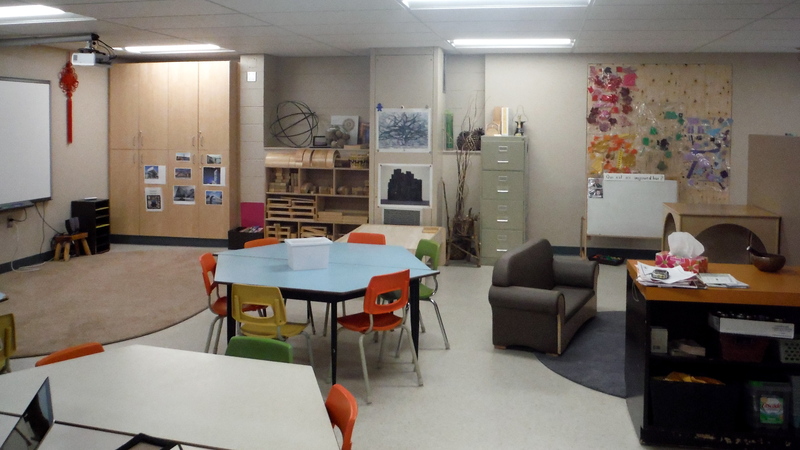 I’ve started each of the past three years with some kind of dramatic play area – often a play kitchen – set up in the classroom. 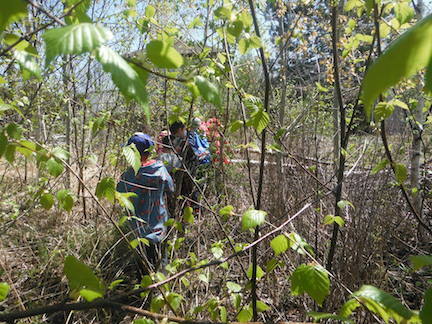 We’ve allowed this to morph into other things: a pet store, a forest, a doctor’s office, a fire hall, a camp site, etc… using input from the students and donations from their families. 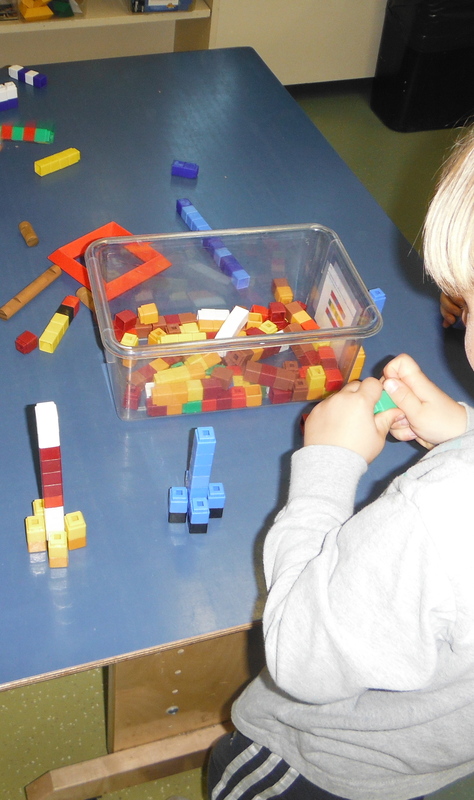 It serves a purpose at the beginning of the year; it’s a good bridge for those who have been in child care and it helps them all to feel secure, having a centre where they know for certain what they’re supposed to do. Role play in familiar roles like mother, father, doctor, and nurse is a type of play that most children have encountered before coming to school either at home or in child care. 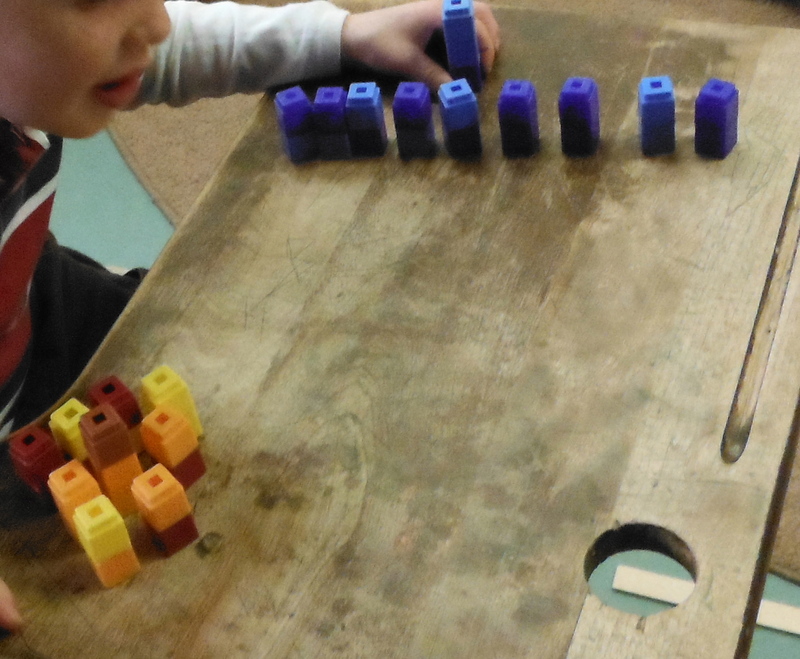 But… it really loses its purpose after a while and it seems to create behaviour problems as students move the materials from that centre all over the room, requiring reminders to return it all at the end of the play block. What I’ve noticed is that over time, the whole room becomes a dramatic play centre. 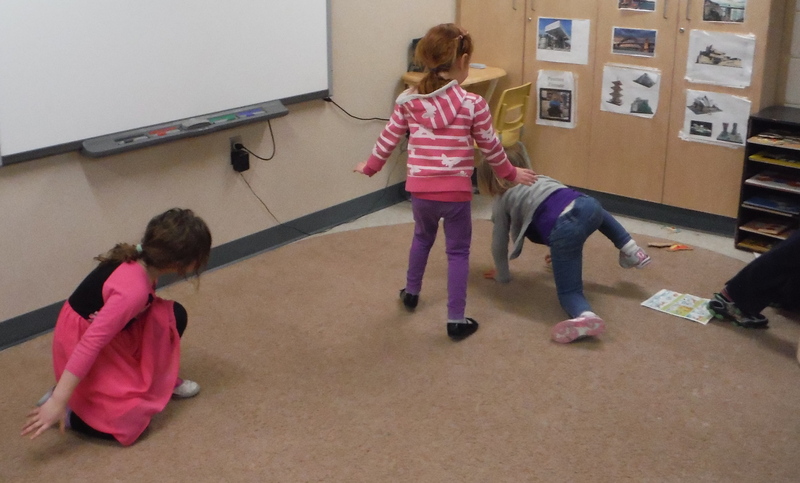 To quote my amazing ECE “wherever they are, they have dramatic play – they make every centre a dramatic centre.” Here is a snapshot of what was happening during one five-minute period this morning. Some are kids are playing cats, others are playing butterfly tag on the carpet – waving their arms the way we practiced at the dance studio, tagging each other and giggling uproariously. Three children are playing banana car (a car that brings bananas) in the block area. “LG: Madame, we made a banana car and TN and BQ are on the banana car!” Next to them, two girls are building a house and playing inside it. The kids from the banana car approach. “LG: Pretend it’s a babies dance show – it’s time for baby’s dance show… get on the train.” They get back on their banana car. One of the girls in the block house says “this is the baby’s house so everyone step back” and the kids from the banana car join in the house play. 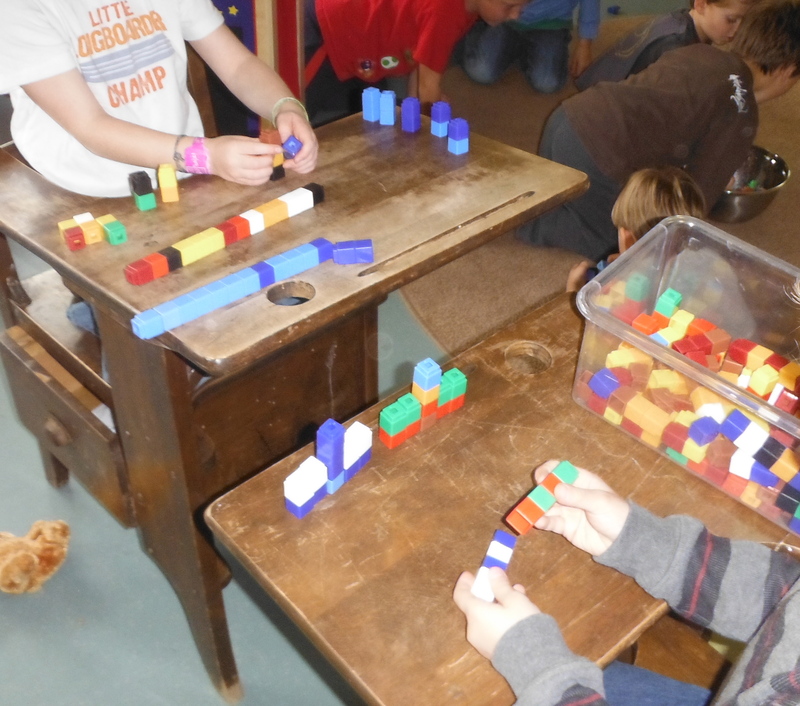 FN and SN are playing doctor in the library and several boys are playing doctor’s office inside the cube. 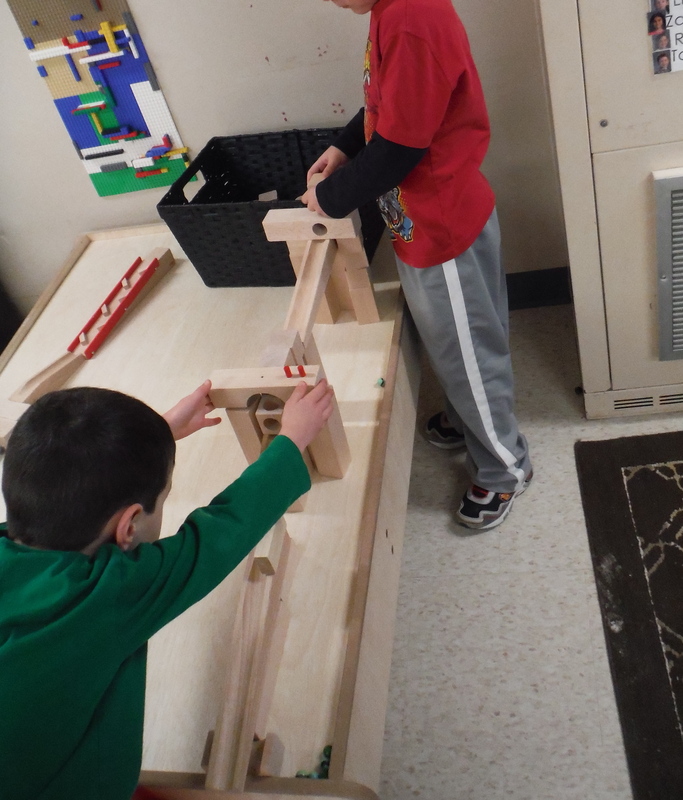 The marble run also has dramatic play components as the children seem to imagine themselves as the marble, moving with it as it goes down the run and celebrating its descent as though they are the ones who have run a race. This is in five minutes! Five minutes! 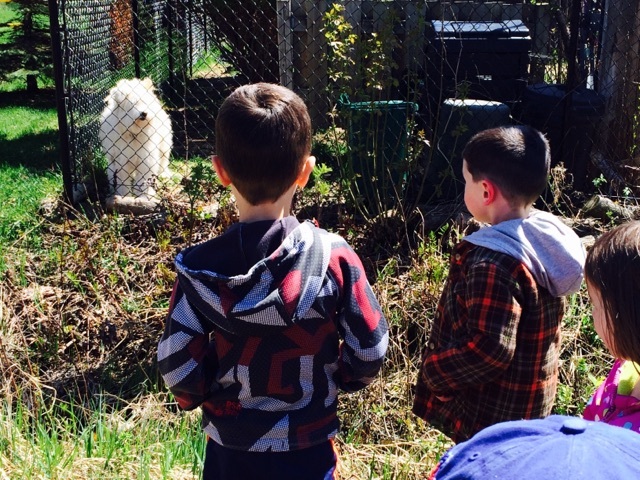 We just don’t need a dramatic play centre any more; it can’t be contained in one space. The drama is nowhere because it is everywhere!